This is one of the watches that really caught our eye at Baselworld earlier in the year. It is an appealing combination of a prestige brand with an attractive sporty divers watch that is also pitched at a reasonable price. Consequently it sits firmly in our “We Wants Muchly” section. Diving watches “par excellence”, The HydroConquest series aims to become the preferred watch of divers and aquatic sports enthusiasts. With a screwed crown, a screw-down case back and the lateral crown protection, these timepieces assure a water-resistance of 30 bar (300 meters). All the models are equipped with indispensable safety devices such as a unidirectional rotating bezel coloured in red, black or blue, hands coated with Super-LumiNova® to make sure that the time can be read in all conditions and a bracelet with double safety diving folding clasp and diving extension. These rigorous guarantees of uncompromising safety fit in with the harmony of the silent world. 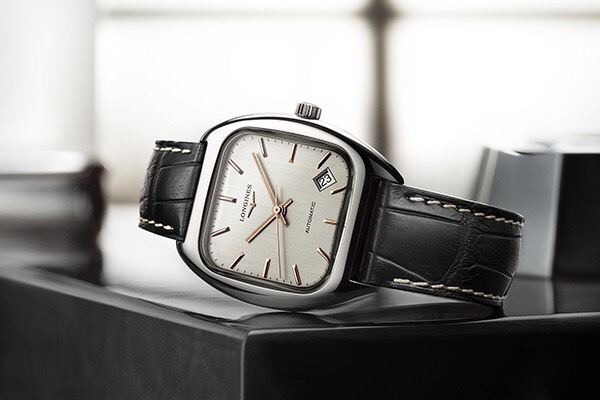 The performance of these models perfectly compliments the elegance that Longines stands for. The new models of the HydroConquest line have a round steel case and a diameter of 39 mm or 41 mm. The 3-hands-models are equipped with an automatic or a quartz movement while the HydroConquest chronographs are available either with the L688 column-wheel movement exclusively developed for Longines by ETA or a quartz movement. 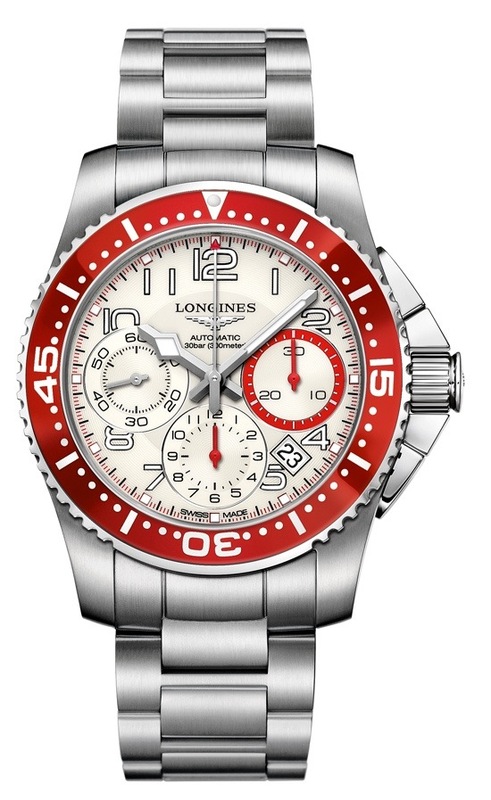 The dials in black, white or blue feature bright details in red and – depending on the model – 8 to 11 Arabic numerals. The bracelets are made of steel or rubber in black. Whether it is to discover the mystic sea world or to have a sporty statement on the wrist, the new HydroConquest models with a touch of color perfectly represent Longines’ know-how in the world of sports. 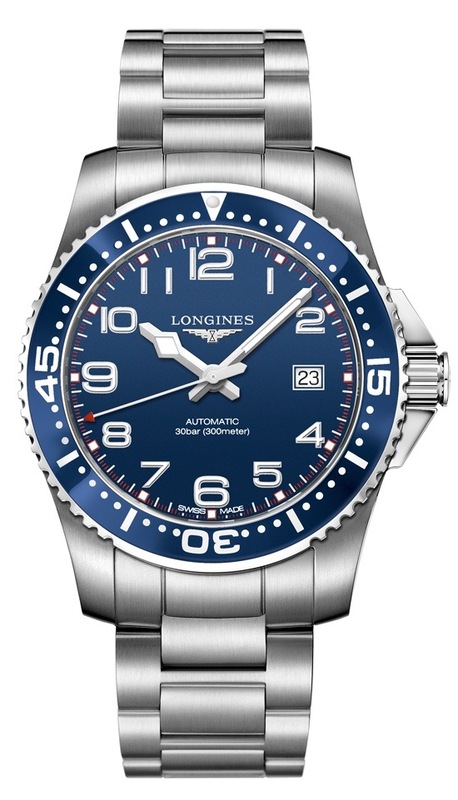 Categories: Longines, Watch Blog, Watch Brands, We Wants Muchly | Tags: Hydroconquest, Longines | Permalink. 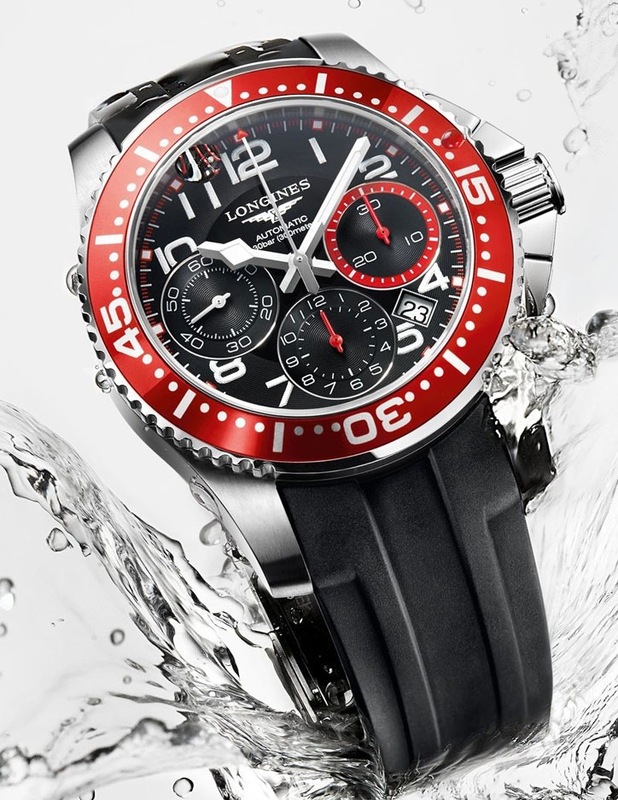 The Longines Hydroconquest caught my eye from Baselworld 2013 and I am looking forward to seeing one of these in the flesh. Categories: Longines, Watch Blog, We Wants Muchly | Tags: Longines | Permalink.